DVD Audio Ripper - DVD Audio Ripper is a powerful, easiest and fastest DVD ripper application for converting DVDs to most popular audio format(.mp3 and .wav) without losing any quality. You can enjoy your favorite DVD audio in anywhere. MP3 Audio Splitter Joiner - mp3 audio splitter joiner is an easy-using digital audio editor supporting batch MP3, WAV, WMA and OGG audio files cutter and joiner into one. It can extract the best parts of various audio files. join the best parts of many audio files together. 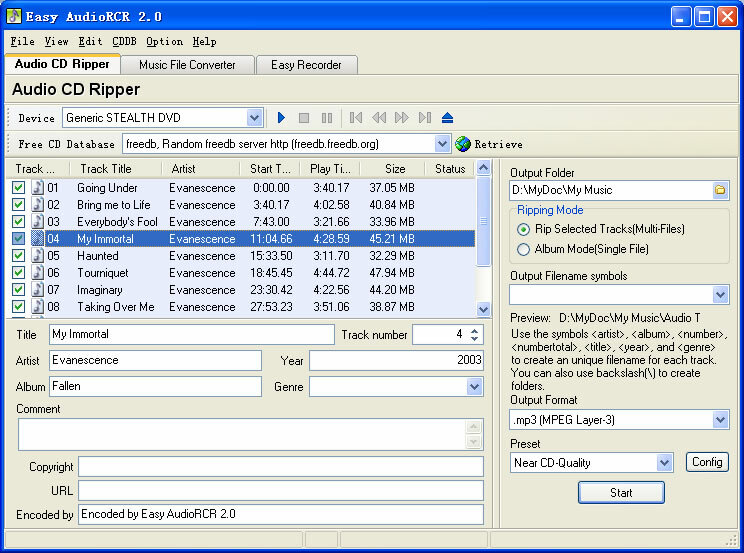 Go DVD Audio Ripper - Go DVD Audio Ripper is a quick and easy-to-use DVD audio extractor. It can extract DVD audio to high quality WAVE, MP3, WMA 9, ASF audio files. Support MP3 with CBR,VBR, version and many preset quality modes.